Joseph is a popcorn addict. On returning from his frequent work trips to the States, he would always bring back hampers of popcorn as gifts for friends and family. After several years being unable to find anything similar here in the UK, he began air-popping corn and coating it in smooth caramel made from fresh butter. After many burnt pans and late night tasting sessions in the family kitchen, he discovered the optimal flavour sequencing method to unlock different flavours on the palate at different intervals as you eat the popcorn. 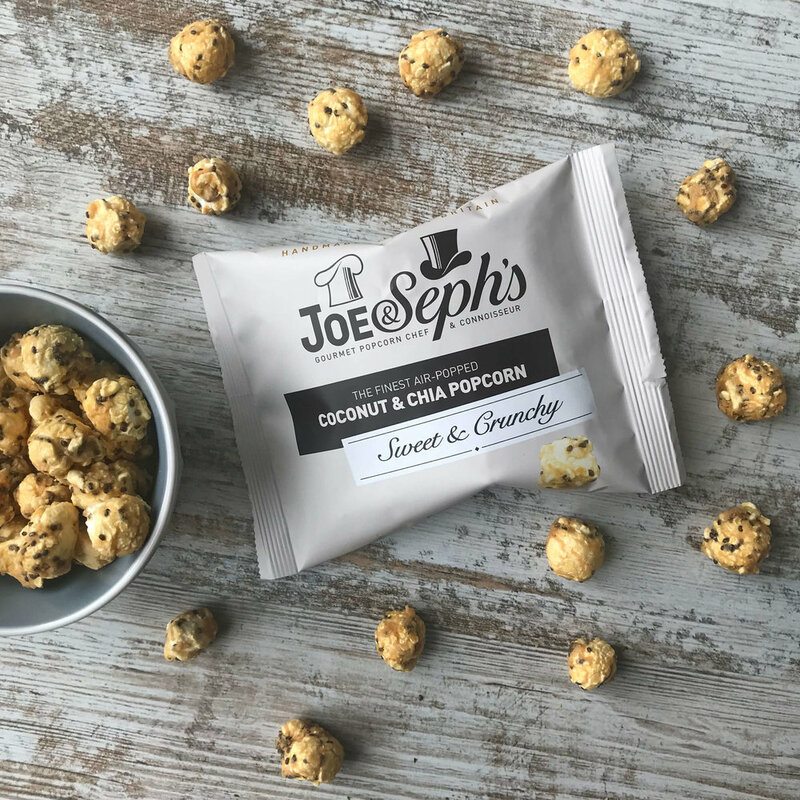 Joseph then went on to create a wide range of both sweet and savoury flavours, and after selling out at a food show in 2010 within two days, he, his wife and eldest son decided that this was their time to become professional foodies. 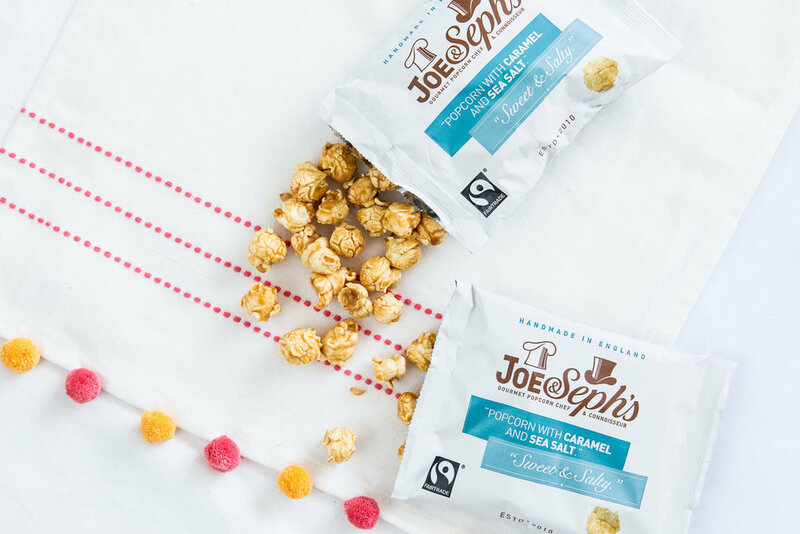 Joe & Seph's Popcorn - Perfected with Passion. We deliver this popcorn within the Office Pantry snack packs on a rotating basis. Remember that, as a customer, you can tailor your contents by giving us your feedback.